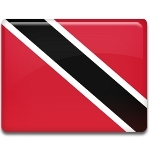 Independence Day of Trinidad and Tobago, a small island country in the Caribbean, is celebrated on August 31. On that day in 1962, Trinidad and Tobago proclaimed its independence from Great Britain. Trinidad and Tobago are two islands that lie just south of Grenada. Trinidad was discovered by Christopher Columbus in 1498. It was declared a Spanish colony and remained under Spanish rule until 1797, when it was captured by the UK. Tobago was colonized by the Dutch in the 16th century. Over the centuries, it was ruled by Spain, Britain, France, the Netherlands and the Duchy of Courland. In 1802, the United Kingdom and the French Republic signed the Treaty of Amiens. The islands were officially ceded to Britain, but remained separate until 1889. In 1925, the first elections to the colony's Legislative Council were held. In 1958, the UK established the Federation of West Indies. The federation collapsed on May 31, 1962, and three months later Trinidad and Tobago proclaimed its independence. Independence Day is one of the public holidays in Trinidad and Tobago. It is marked across the country with military parades, open-air performances, church services, awards ceremonies, carnival-themed parties and firework displays.